You got a home that needs to come down? Welcome to the greatest demolition contractor in Atlanta, Georgia! Not only will you get a very competitive demolition quote (that no other competitor will be able to beat.) 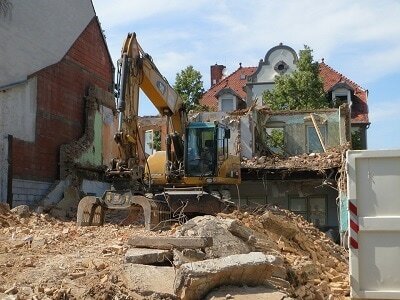 We also are very good in the options offered for the demolition process. Not everyone wants to tear an entire residential structure. You way want to get rid of a fence or a swimming pool or a small wall. That means the worker in the excavator and the whole crew, will need to be very cautious of surrounding structures. Wouldn't it be bad for you to want to dig out your swimming pool, but instead the excavator takes a swing at a window? Or debris flies through the air damaging your roof? You can't have an irresponsible contractor do this but rather someone who has passion for safety. The type of services offered for our residential customers, varies so much. You may have already had residential demolition done on your property, and may want a land cleanup: we can come in with our dumpsters and make it look as sharp as it can get. Or you may want us to come in and level out the land: that is also a service we offer. In general, no matter what you need done at your house, we probably can take care of it. So give us a call! Many times, the type of work you need done, may be a combination of things. Or you may think you need to get rid of the debris lying around, but also need land leveling done. 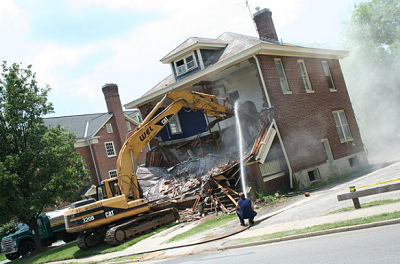 Why go out on the search for another demolition company in Atlanta when you have us right at your feet? 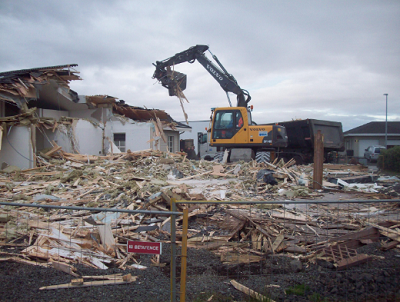 Reach out to us today, and take advantage of our special residential demolition offers. You will be happy to know that in all these years that we've been doing this and considering the very unique situation of residential properties, we haven't had a single major accident. Many times there can be flying pieces of debris that hit a neighbors house and break a window. Then you need to go sort it all out, pay for the damages. Not with us you don't! We will take care of all surrounding buildings and structures so that no harm is done. 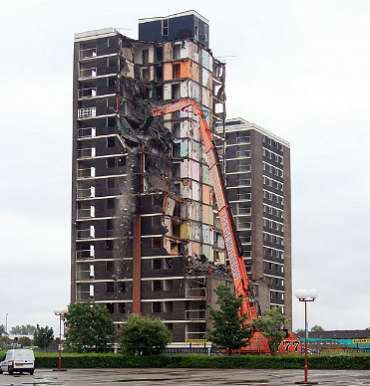 The demolition process will go down in a very discrete and effective way. On top of that all of our workers are fully licensed, each in their respective field (whether they are the heavy equipment operators or the labor force.) Even the engineers that we consult with for each demolition project, are always up to date with the legal requirements and we always make sure they are up to date in terms of their skills and knowledge. Mediocrity and average performance isn't tolerated in this company so we only employ the best of the best. We aren't hesitant to fire people that under perform either. So when we work on your building, if at any point you face something you don't like, we want to hear about it so we fix it. Just getting the job done, isn't good enough for us. There are many decent demolition contractors that aren't actually that bad. However, just a handful (if anyone else besides us) will go the extra mile and make sure the whole process is smooth. Not only do we go the extra mile, but we make sure we are in constant communication with you, to make sure you are happy with the end result. You are our boss in the job, and you basically call the shots. Now of course, when it comes to legality and making sure we are following the rules of the game, we are always extremely responsible. Permits for every home to be demolished will be obtained, and after all environmental and state regulations have been honored, then and only then do we proceed with the project. So you shouldn't fear the demolition project shutting down because of some interference or gray area when it comes to us being covered. The minute we say "let's demolish" from that point and until the very end, you can rest assured that a very good job will be done, without any delays nor issues. Being in Atlanta for now two decades with our demo business, we have gotten to know the local lawmakers (in a good sense) and often times even consult with them to make sure what we are doing is following every single rule of the city and the state. We will never go through questionable routes to get a deconstruction job going. 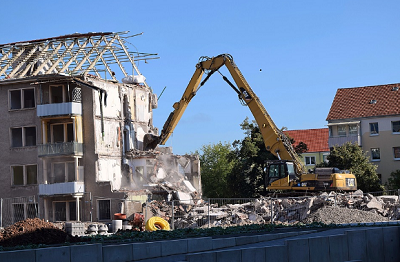 If you are still trying to decide on whether you would want demolition or deconstruction work done for your residential building, we can help you out with that. In most cases, with deconstructions and through the donations of the building materials, you can get tax breaks and many times, even though demolitions are half the price of deconstructions, it may make sense to deconstruct. Basically, a lot has to do with the building age, the materials etc. So we can estimate the project and tell you what will be better for you, from a financial standpoint. Not everyone should go through the deconstruction process, although it is more methodical and safe. In any case, make sure you consult with us before you make your decision.